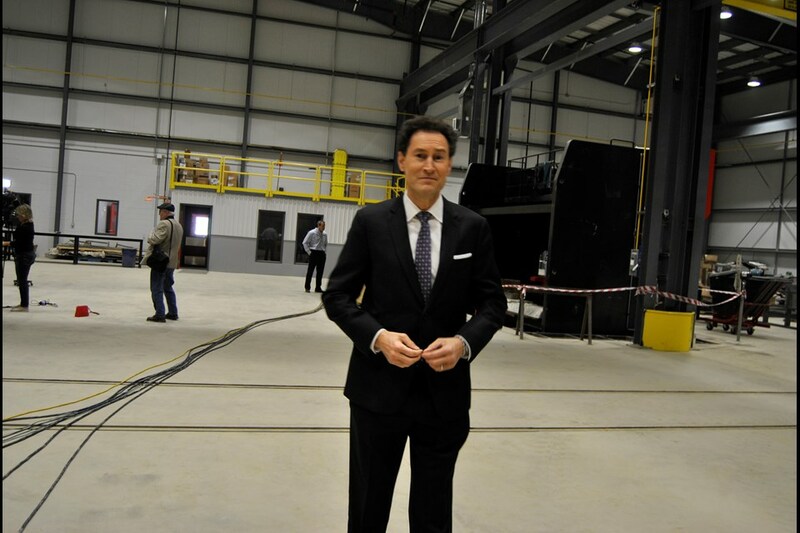 The Bucket Shop hosts TVO's "The Agenda With Steve Paikin" | The Bucket Shop Inc. 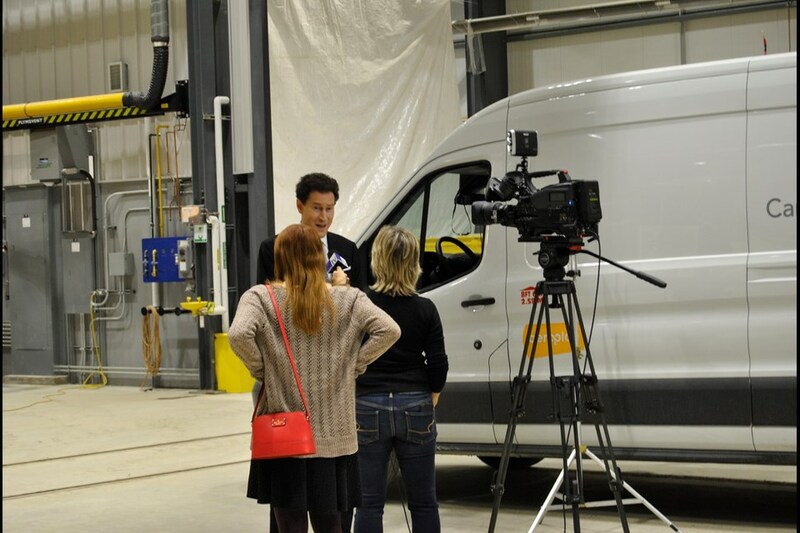 The visit, part of the On the Road segment, is the first in seven yearsfor The Agenda with Steve Paikin, one Ontario’s leading public affairs program carried on the province’s public broadcasting television centre broadcaster. “This year we wanted a location that took us into the heart of our theme, which happens to be how the economy is doing,” Stern said. “The new Bucket Shop service facility was perfect, as it had the space we needed to set up a temporary television studio and it also is contributing to economy by providing jobs and services. The Agenda has been a mainstay at TVO with Steve Paikin for the last 20 years. On hand to provide the latest on the performance of the Timmins economy its present strengths, its challenges for the future and new prospects were Timmins Mayor Steve Black and Maggie Matear from the Timmins Economic Development Council. Also on had were several students from Timmins High and Vocational to explain what role they would like to play in the development of Timmins’ future. 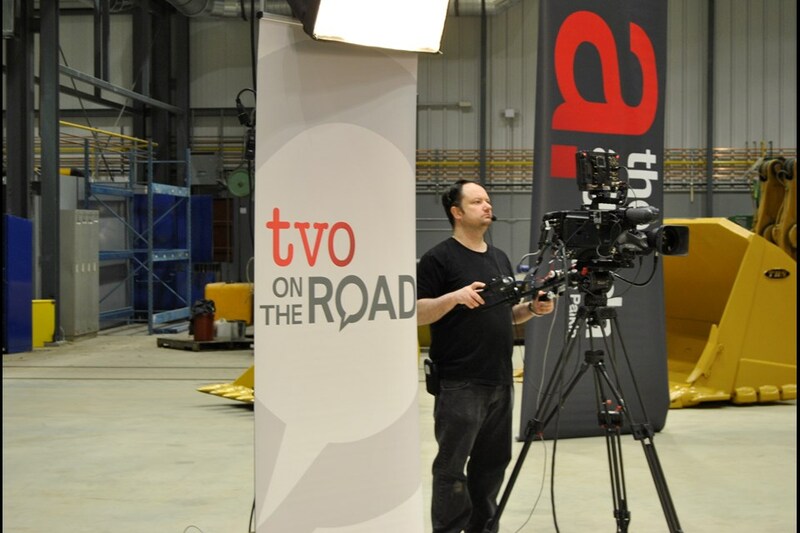 Paul Woodward, the owner of The Bucket Shop not only provided the perfect setting for the temporary TVO studio, but also provided an example of the innovation and growth of this Timmins based mining and construction supply company that is expanding.